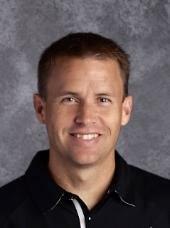 Matt has been in education for the past 18 years, seven as classroom instructor and the past eleven years as athletic director at Junction City High School. He is a proud graduate of Junction City High School (’91). He attended Benedictine College where he played basketball and graduated with a bachelor of arts degree in Health, Physical Education and Recreation in 1995. He then obtained his Certified Athletic Administrator’s (CAA) designation through the National Interscholastic Athletic Administrators Association (NIAAA). He has coached various sports in Geary County Schools USD 475 prior to becoming Athletic Director. Matt and his wife Gretchen (Schmoekel (’91)) currently live in Junction City and have two children, Kate a graduate of Junction City High School in 2016 and Kody a current sophomore at Junction City High School.